It is hard to ascertain when Eve happened on the Jamaican scene but word is she started in California with rich Jamaican drug dealers . She kept her trail smooth and clean but wasn’t selective, the d*ck only has to be stamped Jamaican. Her first taste was of Mr Trevor Rankin who was married at the time. Jamaican men are like recreational drug to Eve and after Trevor she moved on to Mr Junior One Blood Reid. Her relationships with these men were not exclusive and they were told to keep it a secret so no one knows for sure when they started or ended.But they did exist . In 2009/2010 She was dating the then Kidd Kurrupt and it was one of the best kept secret in Jamaica because media houses were warned not to publish anything about them. Here is where the juice is at…………..
Okkkkkay… dats why she was there, was wondering about dat if a studio time she a put in like Snoop and Gwen.Dem seh di atmosphere good fi work inna..Junior Reid? the father? Smoove – Bottle Party ? cant find a picture of him though – am i right MET ? Well shi a di smartest outta di hip hop ooman dem, at least shi tun her life around and step up eena di deep rich life now wid har proppa husband. To think where she coming from wid di ghetto mindset and livity, she actually done well fi harself in di end. As dem seh, ooman luck deh a dungle heap. This needs a whoooooole lot of spice because it’s was to bland! I will see what I can do for you! Ah who sing bottle party?? Mi still enna shock oba di mention of Junior Reid……. Good Mawning Ms Met (inna mi Sky Juice voice). One thing mi hear bout Eve.. Dem say har body odor can raise any dead man.. Dem say di pums smell like it a rotten! Look like she tek care ah da prob deh cah si shi snag a billionaire .. 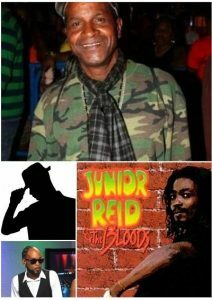 Some ah dem licey head dread yah really nuh partial – guess ah one blood him say fi true! Met dem say she was supplementing her income on the European circle for a minute. That’s how she’s been surviving without really working (music/tv). So mi nuh know why Rich European or any man fi dat matter woulda pay fi rotten meat..
@ Met.. Yup dats why although she nuh do work too tuff yuh nuh hear nothing bout har being broke an suffering..
no met, me not agreeing wid you bout the ras dem love strong scent. the Rastafarian weh me know, live clean and are clean. Unless you are referring to the restitutes whe need to have dem hair trim. no met, meh nuh know capelton personally nor anything about what him stand for though, when him was a bald head meh ded tink seh the face neva too bad to look at. Suh Met, Capelton a move like a RASTITUTE? Original smh nuh new round here! But Eve did deh wid an African Prince one time and dem sey she and him use to fight ova the coke….allegedly. 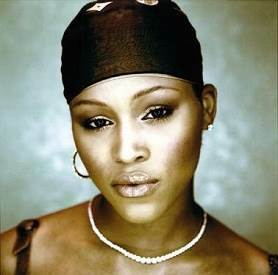 But mi nah lie, Eve (yuh is mi gal) use to look way way betta back inna her early days of rapping. To me looks wise shi drop off. But hey shi married rich so I guess it is more than looks. But if her pumpum really stink then shi married the right man causen sey some a the rich man dem like nasty smell and tings. Di African dictator’s son was using her to wash money… Allegedly!